Believing in yourself means that you know that you have the knowledge and talent to do the things you have to do to get things done. Self-confidence is a feeling of trust in one’s abilities, qualities, and judgment. So you can see self-confidence is a kind of consequence of self-belief. Self-belief is the spark at the core of self-confidence, which is one of the most important skills for your life and your success. Believe in yourself, get going and win. You can’t reach big goals if you don’t believe in your dreams and it’s this belief in oneself that differentiates achievement from failure. Ultimately, the power of believing in yourself is that the one who wins is the one who believes he can. Moreover, if a failure has destroyed your self-belief, nothing will change and you won’t be back on track until you understand how to believe in yourself again. So, self-belief is the core of both self-confidence and resilience. So, how to start believing in yourself? Self-esteem means “I like myself” and is how you view yourself. It’s what you see when look at who you are. If you have low self-esteem, you will view yourself in a negative way. You see your behaviors as problems instead of expression of inner skills. For example, you may think you laugh too much and are not taken seriously by anyone; at the same time you could choose to think you are a sociable and likely person. Self-esteem requires self-acceptance, which is another very important point. Low self-esteem is the first cause for negative self-talk. This will immediately lower your mood, and influence your behavior leading to underperformance and lower self-confidence. This will further lower your self-esteem and feed a vicious cycle where you continually lose self-belief, self-esteem and self-confidence. The good news is that nothing can prevent you from changing the way you talk to yourself. When you conquer negative self-talk, you can transform the vicious circle into a positively reinforcing circle. Your self-confidence will improve and you’ll gain more optimism about your life in general. Conquering negative self-talk has a core role in addressing how to start believing in yourself. There’s a number of things that can low self-belief and self-confidence. This is not just about looking inside yourself. There are also external factors that can contribute to low self-belief, and addressing them in your environment will make your self-belief more resilient. So, how to start believing in yourself working with your environment? 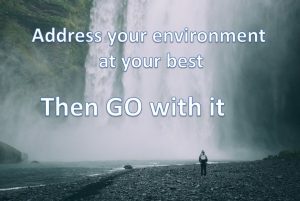 Address your environment at your best, then go with it. You may improve your self-esteem, retrain your negative thinking and make empowering changes to your environment, but you may still struggle to step outside of your comfort zone in your road trip towards your goals. You may believe that you don’t have the means to better yourself or that you don’t deserve a better life. Just becoming aware of your roadblock will allow you to deal better with them. Spot a roadblock, deal with your self-esteem issues about it, deal with your negative thinking about it, make your environment a useful resource to deal with it, and then get over it. 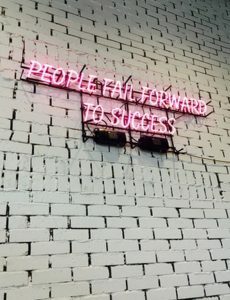 This is a pivotal point when you are trying to learn how to start believing in yourself and how to believe in yourself again after a major setback. When your self-belief begins to rise, you realize you have new options at your desk. Suddenly, your future opens and opportunities come to your mind. Your future becomes exciting and filled with new challenges and experiences. Rather than dreading the future, you’re enjoying anticipating it. 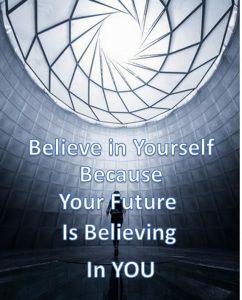 Believe in your future, because your future is believing in you. 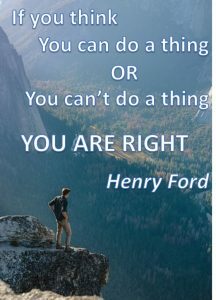 Learning to believe in yourself is possible and requires just mindset and exercise. 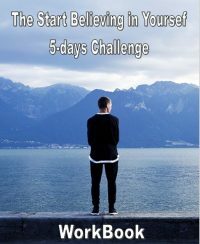 There are many ways to believe in yourself, but here I made things easy: just follow my 5-day “Start believing in yourself” Challenge, based on the 5 critical areas above. 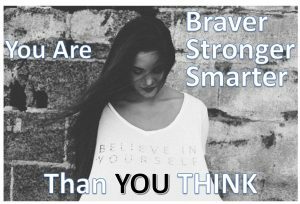 If you are suffering from your self-confidence and looking for ways to start believing in yourself, you are in the right place. 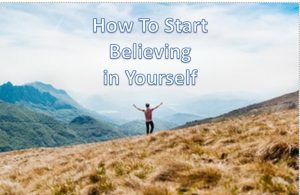 How to start believing in yourself? 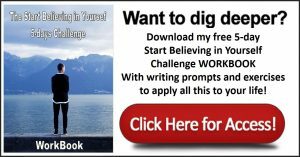 Just download the workbook, where you’ll find these posts and related exercise to start applying all this to your life!